Tailored for business, optimized for Genuine Windows 7 Professional, this configurable notebook features a 15-inch diagonal display and UMA or discrete graphics. From the professional design to Intel technology, you're ready for business. 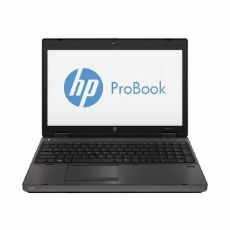 HP ProBook 6570b is ideal for professionals in corporate settings or small to medium businesses, wanting an affordable combination of innovation, essential security and multimedia capabilities.